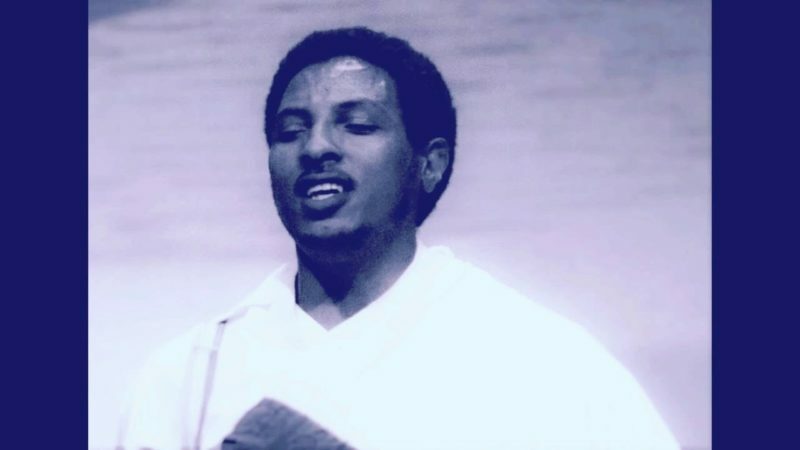 Afework Nigussie is an Ethiopian musician and singer from the Gondar region in North Ethiopia, who grew up in the capital Addis Abeba. He is a master of the masinko, a claret shaped violin with thick snares and goat skin which gives a strong sound that trembles into your belly and bones. He also plays a wide range of traditional Ethiopian string, wind and percussive instruments. His musical background is that of the ancient Azmari tradition, the wandering minstrels who carried the latest news and social criticism in loud songs from village to village, from door to door. Yet in his case, he chooses not to copy the old Azmari lines, but rather recreate his own songs that belong to current times, whether in secular or spiritual folk styles. Nigussie is a contemporary songwriter and composer who prefers to look forward instead of back. Since several years, Nigussie lives in Rotterdam, a city with a blooming Ethiopian and Eritrean community. Over the years he has collaborated with Ethiopian jazz greats such as Mulatu Astatke and Getatchew Mekuria and with Dutch punkband The Ex. If not playing solo, he often plays as a duo with Arnold de Boer, better known as Zea, or in an all-African lineup of The Nile Project. We had a quick chat about his music, life and upcoming performance. At what age did you start playing the masinko violin and why did you pick this instrument? I love the masinko as it was the best instrument to take. I studied music from 13 years old and I started playing the masinko when I was 16. I learned it through a friend and then developed it further by playing, time and experience. Can you tell us about your path of the Azmari? In old times, being an Azmari meant you could just not only be a masinko player. ‘Azmer’ means ‘art’, ‘ri’ means ‘owner’ in the old Ethiopian Gize language and there also is a town called Azimar where musicians worked like journalists, bringing the news from door to door in songs. But I am not this kind of Azmari, I am just a musician who is making his own music as a songwriter and performer. In Ethiopia and your home region of Gondar you are a quite well known artist in the modern folk scene. What was the reason that you moved away from Ethiopia? When I was young, I felt bored in Gondar but I actually grew up in Addis Ababa because of my family who moved there for work. I don’t think it’s important to explain why I moved to the Netherlands but there is a big Ethiopian community there. Do you often play for the Ethiopian community in the Netherlands at cultural events or religious celebrations? Yes, but I don't just play Azmari music, but a big variety of Ethiopian music styles, such as Shilela, Fukera, Lekiso, Zimare, Wireba, Shibsheba, Eskista, Tizita, Anchihoye, Ambasel, Bati and so on. Each style is very different, has a different purpose and meaning. Would you say your music is shaped by the original tradition, or rather by the here-and-now of the moment? Yes it’s traditional shaped but let me tell you something. As long as I am in Ethiopian tuning I am traditional. Even if you wish to play modern jazzy (except blues), you will stay in tradition because of the pentatonic scales which lead you. How is cultural life in Ethiopia right now? It's hard to say something now about Ethiopian cultural life because which angle? It's a poor life because at the moment there are no strong cultural music institutes in Ethiopia, it is just survival for all musicians. As with many special artists from Ethiopia, Dutch punkband The Ex and Zea (Arnold de Boer) took interest in you, what has become of this and in what way has it influenced your own music? You know, we are musicians for music. There are no borders, music is one of best to break borders, that’s why (laughs). You also play in The Nile Project, with musicians from all of the countries where the Nile flows. What can you tell us about this project and your input? It’s true, The Nile Project is one of best bands with African musicians that I have ever participated in as music arranger as well as singer. I hope that I will spend much more time with them. What do you expect from your solo set at Eastern Daze festival, what will you sing about? We are already looking forward. I will playing some old and new cultural material. To be honest I never expect what kind of audience is coming to my performance, we will just meet there and then. Enjoy, music is love.